For many of us, the holidays aren’t complete without milk and cookies or a cozy cup of hot cocoa – but families in need in our communities may be missing out on milk and its nine essential nutrients this holiday season. More than 46 million Americans – including 12 million children – rely on Feeding America member food banks. Milk is one of the most requested yet least donated items year-round, but even more so during the holidays when food banks are even busier. As you gather with family and friends this season, don’t just get together – give together. 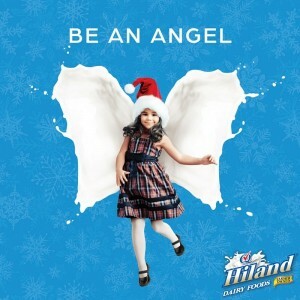 Be an angel for a family in need and join The Great American Milk Drive and Feeding America in The Holiday Give Together. With an online donation of as little as $5, a family in need will receive a gallon of milk. By entering your zip code, you can ensure that nutrient-rich milk is delivered to a local food bank to help nourish children in your own community.